What FICO Score Do I Need for a USDA loan? USDA loans work well for people that don’t mind living in a rural area. The USDA designates certain areas of the US that are outside of the city lines as rural. If you can find a home in that area, you can secure 100% financing for your home. That means no down payment. You can even have the seller pay your closing costs, meaning you can come to closing with very little of your own money. It all sounds too good to be true, so what’s the catch? You must need a high credit score to get the loan, right? Wrong! You don’t need a high credit score – all you need is a 640 FICO score according to the USDA. If you compare that to the 680 credit score you need along with a 5% down payment for a conventional loan, you are getting a good deal. What if You Don’t Have a 640 Credit Score? The USDA loan is for low to middle-income borrowers, some of which don’t have a 640 credit score. Does this mean they have to go without USDA financing? Luckily, the answer is no, but only if you don’t have traditional credit. If you don’t have enough trade lines to make up a credit score, USDA lenders are allowed to use ‘alternative credit.’ They can use trade lines that don’t normally report to the credit bureau. For example, if you pay car insurance, rent, or utilities, you have bills you must pay each month. If you can provide proof that you’ve paid three to four alternative trade lines on time for the last year, you may be able to secure USDA financing. If you have a 660 credit score or higher, you may be able to streamline the USDA loan approval process with your lender. Borrowers that have a credit score of at least 660 may not have to provide as many documents to get through the approval process. Having a higher credit score may also help to offset a high debt ratio. Normally, USDA lenders have to decline borrowers that have a 640 credit score and debt ratios that exceed 29/41. Even though many loan programs allow a total debt ratio of up to 43%, the USDA sticks to their 41% guideline unless you have that higher credit score. Are you Eligible for a USDA Loan? Before you even start worrying about whether a USDA lender will approve you for a loan, you should determine if you are eligible for the program itself. The USDA program is only for low to middle-income borrowers. You can determine if you qualify by using the income chart here. When you use this chart, make sure to take into consideration your household income, not just the income of you and your co-borrower. The USDA wants to know the total household income to see if you qualify for their guaranteed loan program or if you may qualify for an FHA or conventional loan, both of which you may need to put money down on the home to get. The USDA program is great for borrowers with at least a 640 credit score and debt ratios in line with the program’s guidelines. It offers 100% financing and low closing costs to help stimulate the rural areas of the country that otherwise might sit vacant. You want to buy a home, but you know you have a low credit score and little money to put down on it. This sounds like a recipe for disaster. What lender will give you a loan, right? Luckily, there are several loan programs you can turn to, all of which are government-backed loans. These loans carry a guaranty from the government. This means the government entity will pay the lender back a portion of the proceeds they lose if the borrower defaults. Because of this guaranty, lenders are able to write and fund loans for borrowers that would otherwise be ineligible for one. Below are the most common loans that allow low down payments and low credit scores. FHA loans have a reputation of being a first-time homebuyer’s loan. While it certainly can be used for that purpose, it’s open to anyone that meets the FHA criteria. One of the most notable facts about the FHA loan is the low down payment requirements. You only need to put down 3.5% on the home to secure FHA financing. On a $200,000 home, that’s $7,000. That may still seem like a lot, but there’s another catch. You don’t have to put any of your own money down on the home; 100% of the funds can come from an acceptable gift source. This may include relatives, your employer, or a charitable organization. FHA loans also have the reputation of allowing low credit scores. Today, you only need a 580 credit score to secure FHA financing. That’s 100 points less than conventional loans require. With at least a 580 score, you can get away with putting down just 3.5% on the home. The FHA also allows an exception when it comes to credit scores. They allow lenders to fund loans for borrowers with a credit score as low as 500. In exchange for the lower credit score, though, the down payment requirements increase. You would need 10% down on the home in this case. You can still accept gift funds to help with the down payment, but 3.5% of the down payment must come from your own funds. USDA loans are another government-backed loan with a guarantee. The credit score requirements for this program are slightly higher, but still lower than conventional loans. Today, you need at least a 640 credit score to qualify. With that 640 credit score, you can obtain 100% financing for a home. This means you don’t have to put any money down on the home. The only money you would have to bring to the closing is the money for closing costs and the upfront mortgage insurance the USDA charges. The upfront mortgage insurance is equal to 1% of your loan amount. On a $150,000 loan, you would owe $1,500 for upfront mortgage insurance. You would also pay 0.35% of the loan amount per year on a monthly basis for additional mortgage insurance. In order to secure a USDA loan, though, you must buy a rural property. The USDA has loose guidelines when it comes to defining rural properties, though. Looking at their map, you may find areas that are just outside of the city lines that qualify, which you may not even think would be rural. If you are a veteran that served our country for at least 90 days during wartime or 181 days during peacetime, you may be eligible for a VA loan. You may also be eligible if you served in the National Guard or Reserves for at least 6 years. The VA loan provides 100% financing for eligible veterans. This means you don’t need your own down payment. You would only be responsible for the closing costs on the loan and the VA funding fee. The VA funding fee is equal to 2.15% of your loan amount if you served in the regular military and 2.4% of your loan amount if you served in the National Guard or Reserves. The VA doesn’t have a minimum credit score that they require, like the FHA and USDA do. Because the VA doesn’t underwrite or fund the loans, though, many lenders set a minimum credit score. On average, you will find that you need a 620 to secure VA financing, however, this could vary by lender. If you have a credit score lower than 620, you may have to shop around a bit to find a willing lender. Each of these government-backed programs gives you the opportunity to secure financing with a low down payment and/or a low credit score. We recommend that you apply with at least three lenders to find the loan program that suits you the best as well as the best interest rate/closing costs to make your loan as affordable as possible. 2 Types of USDA Home Loans: Which One Is Right for You? Rural homebuyers with low to moderate income may qualify for a USDA home loan. That’s great news because this program offers 100% financing and has flexible guidelines. As you get started, though, you’ll notice that the USDA offers 2 programs – the Guaranteed and Direct loan programs. The most common USDA program is the Guaranteed loan. It works like the FHA loan in the fact that the USDA ‘guarantees’ the loan for lenders. In other words, the USDA promises to pay the lender back a portion of the funds they lose should you default on the home. This allows USDA approved lenders to provide loans to applicants with less than perfect credit or low income. The funds from this loan come from the lender, not the USDA. The USDA does play a role in the loan process, though. They have the final say in your approval. Once the lender final approves your loan, they must send a complete underwriting package to the USDA for their stamp of approval before they can allow you to close. In order to be eligible (not qualify) for this loan, your total household income cannot exceed 115% of the average income for the area. The USDA looks at all income-producing adults in your home too, even if they aren’t on the loan. The USDA recognizes that multiple generations live together today and often help one another with the cost of living. You also must not be eligible for any other mortgage program. This includes FHA, conventional, or VA loans. 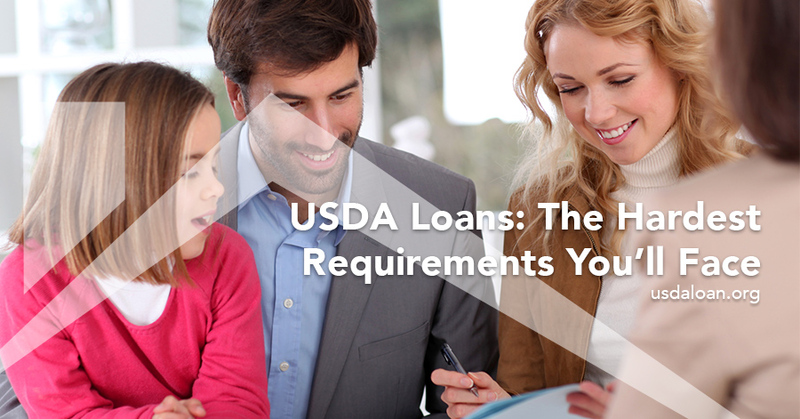 Unlike the Guaranteed Loan, the USDA Direct Loan comes directly from the USDA. You don’t go through a lender, but rather work directly with the USDA to obtain the loan. Only borrowers that make between 50% and 80% of the area’s average income are eligible for this program. It’s the USDA’s attempt to help very low-income families afford suitable housing. The Direct loan is offered in 33-year and 38-year terms and the interest rate is based on the market, rather than at lender’s discretion. In order to qualify, you must prove that you cannot qualify for financing from any other program. You must also prove that you don’t have suitable housing at the time of application. However, you must be able to prove that you can afford the mortgage payment you would owe with the Direct loan program. Unlike the Guaranteed program, there aren’t specific credit score guidelines you must meet. As long as the USDA believes that you can’t qualify for other financing and the property is modest in size, safe, and will be owner-occupied, and you have low to very low income, you can apply for the loan. The USDA does enforce a maximum 41% total debt ratio for this program, just like the Guaranteed program. This is to help keep your expenses in check, rather than putting you in over your head and making homeownership a burden rather than a benefit. Typically, Direct loan borrowers don’t have to make a down payment or pay the closing costs. If the USDA can prove that you have enough assets, though, you may be responsible for a fraction of the closing costs. The average USDA Direct borrower pays around $1,000 in closing costs. Finally, the USDA does require Direct loan borrowers to attend housing counseling. This is to make sure that you understand the debt you are incurring and how it will affect your finances moving forward. It’s the USDA’s effort to prevent a foreclosure. Whether you qualify for the Direct or Guaranteed loan program, you must purchase a rural property. You can view the properties that the USDA considers rural on their map. The home must be modest in stature and size. It should be large enough to suit your family, but not so large that it can be considered a luxury. If you are an average borrower with moderate income, you’ll likely qualify for the Guaranteed loan. if you have very low income and few assets, though, the Direct loan could be an option that could help you become a homeowner and hopefully better your financial position. Can you Get a USDA Loan if you Already Own a Home? The USDA loan is for low to moderate-income families that don’t have adequate housing and can’t secure any other type of financing. So what happens if you already own a home? Can you not use USDA financing? The answer isn’t as cut and dry as you might think. Technically, USDA loans are for owner-occupied properties only. If you have another home, you cannot use USDA financing to buy an investment home or second home. You also can’t use it to buy the home to live in and then rent out your other property. USDA financing is meant to help borrowers that wouldn’t have a place to live if they didn’t have the USDA loan. But there are exceptions to the rule. Keep reading to see if any of the exceptions apply to you. The USDA doesn’t consider a mobile home adequate housing. In other words, you can buy a single-family home, townhome, or condominium with USDA financing. You don’t have to sell the mobile home either. But, what you do have to do is prove that you can afford the payments on both ‘homes.’ This includes the taxes and insurance as well. If you own a home now, but your job relocates you more than 50 miles away from your current home, you may be able to keep the home and buy a new one with USDA financing. As long as you can prove that you will live in the new home as your primary residence and that it’s located closer to the job, you may get it approved. The scenario is up to underwriter approval, though, and each situation is on a case-by-case basis. It happens to the best of us – we buy a home that we think is perfect. Before long, though, you outgrow the house because your family size grew. The USDA may allow you to buy another bigger home with USDA financing and keep your current home. Keep in mind that the USDA must approve whether you ‘outgrew’ the home. For example, let’s say you bought a 2-bedroom house and only had one child at the time. Fast forward a few years and you now have four children. That 2-bedroom home probably doesn’t suffice and the USDA will likely agree. The living space must be modest, but adequate for a family of your size. If the USDA doesn’t agree that any of the above exceptions apply to you, using USDA financing for another home purchase won’t work. You will need to sell the current home and then buy a new home. This doesn’t mean you can’t look for a new home while yours is on the market. But, you have to wait to close on the home until after you no longer own the first home. If you do get approved for any of these exceptions, you must be able to prove that you can afford both mortgage payments. Again, this includes your real estate taxes and insurance on both properties. The USDA allows a maximum housing debt ratio of 29% and a maximum total debt ratio of 41%. You should keep those numbers in mind as you try to figure out if you can afford both loans. Can You Use PMI as a Tax Deduction? One of the largest advantages of owning a home is the deductions you can take on your tax returns. Oftentimes, homeowners can deduct thousands of dollars on their taxes. Understanding what is tax deductible and what isn’t can help you make the most of your situation. One thing many people overlook is the fact that PMI is a tax deduction. When Do You Pay PMI? Any borrower pays PMI on loan amounts, which exceed 80% of the home’s value. If you took out only one loan for 95%, for example, you pay PMI. If, however, you took out two loans, a first for 80% and a second for 15%, you do not pay PMI. It is only on a first mortgage higher than 80% of the value of the home. This year, you can deduct PMI as you would an interest tax deduction. In fact, you deduct the premiums as if they were interest. This helps to lessen your tax liability. It is not a direct credit, however. It is a deduction. This means the amount you can deduct comes directly off your income, reducing your adjusted gross income. This is the number the IRS uses to figure your tax liability. There are certain restrictions when it comes to deducting PMI on your taxes, though. 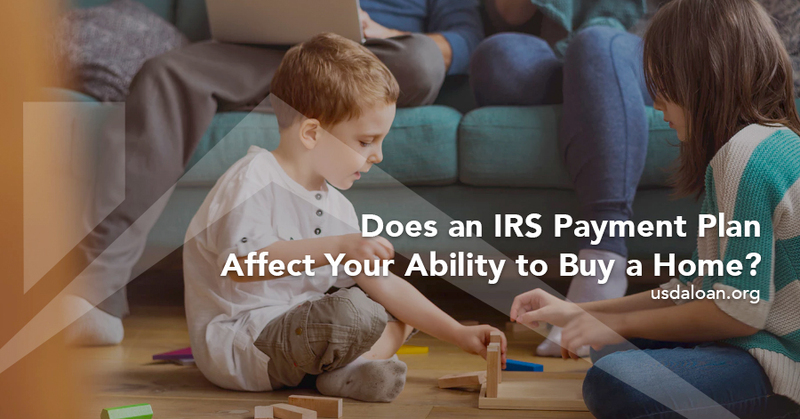 For instance, borrowers with an adjusted gross income higher than $100,000, cannot deduct the full amount of the PMI they paid. If your adjusted gross income is higher than $109,000, you cannot deduct PMI at all. The deduction is meant for the middle-of-the-road income earners. If you make more than $100,000, whether you are single or married, the amount you can deduct decreases by 10% for every one thousand dollars. For example, if your adjusted gross income equals $105,000, you can only deduct 50% of the PMI you paid for the year. In order to take advantage of the PMI deduction, you must itemize your deductions on your taxes. This is the same as it is for the interest deduction. In fact, you deduct PMI in the same place on Schedule A. In the section where you deduct the interest, you will find a section titled “PMI Deduction.” This is where you enter the amount and your deduction is calculated. The PMI deduction began in 2007. This was when homeowners could deduct the premiums they paid. It was originally a part of the Tax Relief and Health Care Act of 2006. It was not meant to be a long-term deduction, but since the industry is still recovering, the deduction still exists. As of right now, though, 2016 will be the last year you can take advantage of it. If it is to continue, Congress must approve it. There are some additional requirements you must meet in order to take the tax deduction for PMI. The most important requirement is the date you took out the loan. The deduction is not applicable on any loans prior to January 1, 2007. In addition, if you refinanced during that time, the PMI you can deduct is only the loan amount for the initial outstanding principal. If you took any cash out of the equity of your home, you cannot deduct the PMI on that money. If you have a second home, you may be able to deduct the PMI you pay on that home as well. This is true as long as you use the home for your own use. It could be a second home or a vacation home. If it is an investment home, however, it is not eligible for the deduction. While it might be disappointing that the PMI tax deduction may go away after this year, remember you can cancel PMI. As soon as your loan is less than 80% of the value of the home, you no longer have to pay this insurance premium. It is up to you to determine when this happens, though. The lender is not required to automatically cancel your PMI until the LTV hits 78%. This could leave you paying unnecessary insurance premiums for a while. There are several ways for you to cancel your PMI. You can pay for a new appraisal if you think the value of your house increase recently. This helps you to cancel PMI faster. While you won’t have the tax deduction any longer, you will save a lot more by not paying the premium any longer. If you want to take care of it faster, you can also refinance your loan. As long as you use a rate/term refinance, rather than taking cash out of the equity of your home, you may be able to cancel PMI faster. Paying PMI might seem like a pain, but it has its advantages. First and foremost, it makes it possible for you to purchase a home. Without PMI, you might not be eligible for such a high LTV. Secondly, it gives you a break on your tax liability. In today’s day and age, tax deductions are hard to come by, making the PMI deduction worth quite a bit. Even if you only save a few hundred dollars on your taxes, every penny helps when you are trying to save money!